Recent timetable changes have stripped Aberdeen to Glasgow services from Laurencekirk and Stonehaven. ScotRail says removing some trains from the towns has freed their stations to offer a far greater range of local services. But many residents have been left dismayed and as the full effect of the changes has become clear and there have also been serious concerns raised they could hamper tourism. West Aberdeenshire and Kincardine MP Andrew Bowie has written to ScotRail after he was contacted by residents in Laurencekirk angered that no services on the Aberdeen to Glasgow line now stop at the Mearns station. That service has bypassed Laurencekirk ever since the timetable changes came into force in December, forcing passengers to drive to Montrose. And the train now doesn’t stop in Stonehaven between 8am and 5.30pm. Mr Bowie said travellers now faced a choice between “inconvenient” additional journeys to the nearest station or simply abandoning rail travel altogether and driving to Glasgow. 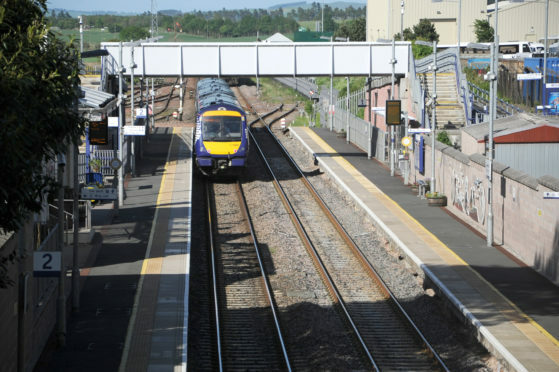 A ScotRail spokesman said the improvements made were the first phase of efforts to provide a better Scottish railway and that by creating an interchange station at Montrose they had allowed for more local services to operate at stations like Laurencekirk. This has resulted in daily services increasing from 24 to 40 since December, with more than 5,000 extra seats each day along the route. Phil Mills-Bishop, coordinator of Stonehaven Tourism Group, however, said the changes would be to the detriment of the town. “From a tourist point of view, I think this is one of those things which act as a barrier to people coming to visit the area,” he said. “We need better rail services for both residents and visitors and it just seems ridiculous that trains can’t stop at Stonehaven. “I’ve even heard of instances of people having to get the train all the way up to Aberdeen and then get another train back to Stonehaven in order to visit the town.